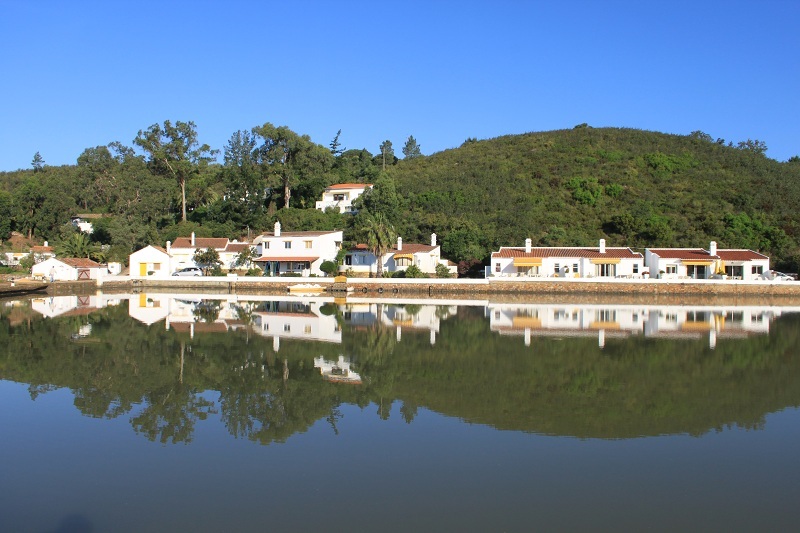 We are in Vila Nova de Milfontes, in Portugal Southwestern, where the magnificent River Mira`s estuary meets the Atlantic Ocean, over twenty-five years. We had no doubts in establishing ourselves in Milfontes, with its wonderful beaches, with its 3.000 hours of sun and a minimum annual precipitation rate. Here, very rarely we suffer from too high or too low temperatures. Bungalows and villas were built on the hillside, protected from the north and west winds, all of them with terraces and balconies headed south with view to the large River`s Estuary, where every day unfolds the permanent spectacle of the continuous tidal movement. The zen atmosphere and natural beauty make this resort a hidden secret of good quality and price, and is suitable for all those who want to escape the crowds and that know how to enjoy the tranquillity that they can`t found elsewhere. Moinho da Asneira maximum capacity is 45 people. This guide was developed from the innermost desire to promote Vila Nova de Milfontes, a town that deserves to be discovered throughout the whole year, offering its visitors a range of features that really make it a unique destination to go to.